Salon International 2014 is the 13th annual juried exhibit hosted by Greenhouse Gallery. The exhibit will feature original paintings in oil, acrylic, pastel and watercolor selected from artists submissions across the country and around the world. 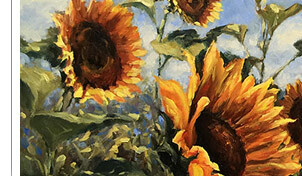 Renowned Master artist David A. Leffel will be serving as the exhibit judge. Wesley and his wife Leesa will be traveling with their son Adam on his 4th birthday to Caye Caulker, Xunantunich, and Lamanai for some diving, caving and exploring ruins. Look for some Mayan inspired paintings upon their return. Organized by Carmens Gallery in conjunction with the Florida Keys TREE Institute, we will be visiting art studios of Cuban painters in Trinidad, painting on the beach at Cienfuegos, and enjoying private tours of artists' studios in Havana as well as being taken on a private tour of the Havana Museum of Art. Wesley and his wife Leesa will be traveling with their son Adam on his 3rd birthday to Marrakesh, Essaouira and the Atlas Mountains followed by a short stay in Madrid. Look for some Moroccan inspired paintings upon their return. Featuring new paintings from Wesley James Drake. Wesley and his wife Leesa will be traveling with their son Adam on his 2nd birthday to Istanbul and Cappadocia. Look for some Turkish inspired paintings upon their return. Twenty of the West's most well-known painters will be arriving in Missoula for 5 days of plein air painting in the Bitterroot, Clark Fork, Mission and Blackfoot Valleys. Twenty of the West's most well-known painters will be arriving in Missoula for 5 days of plein air painting in the Bitterroot, Clark Fork, Mission and Blackfoot Valleys. The exhibit will run through Aug. 31st. 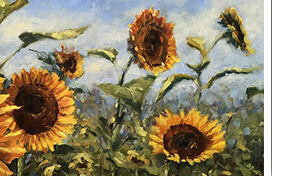 The highly anticipated 18th Annual Juried Exhibition of Traditional Oils will be held at Sage Creek Gallery, May 1 – 31, 2009, in Santa Fe, New Mexico. Artists throughout the United States, Canada, and Mexico are vying for a number of valuable cash and merchandise awards, but for now all artists have their sights set on this year’s top prize, the American National Award of Excellence, valued at $22,000. Considered one of the most competitive competitions in the country, OPA traditionally receives over two thousand four hundred entries for its National Exhibition of which only two hundred artists are chosen to display their work. I have been an artist in residence this year with The Cliff Dwellers, sister club of the Salmagundi Club, and will be participating in the holiday show in the penthouse gallery overlooking Chicago. Featuring over 20 new paintings from Wesley James Drake. Wesley and his wife Leesa will be traveling to Phi Phi Lei, Bangkok, Chiang Mai (elephants) and Siem Reap, Cambodia for diving, rock climbing, kayaking and hanging out with the elephants. While in Angkor Wat, Cambodia they will be running the 1/2 marathon which raises support for landmine victims. Look for some Asian inspired paintings upon their return. The second annual Atlanta Cityscapes exhibition is dedicated to cityscapes of Atlanta featuring paintings from Danny McCaw, Scott Prior, Ken Auster, Paul Casale and Wesley James Drake. Anne’s distinguished coterie of painters channel their love of the mecca of the south onto canvas, showcasing scenes from Atlanta's iconic images, including the Fox Theatre, Piedmont Park, downtown buildings, the Varsity and the evolving skyline. Artists worldwide have begun painting in the Plein Air style, venturing from their studios to paint along roadsides, atop mountains, by the sea, in the gardens and in cities to capture landscapes, still lifes, figures and architecture in their natural, thriving elements. Discover the talent and techniques behind this exciting art phenomenon and become a part of our flourishing local arts scene. Come witness the dynamic painting competition and festival that is "Plein Air - Easton!" Explore one of the most picturesque small art towns on the East Coast while interacting with some of the nation's top plein air painters. The Oil Painters of America enthusiastically returns to the Dana Gallery in scenic Missoula , Montana for its 17th National Juried Exhibition of Traditional Oils, May 2 – June 14, 2008 . Artists, collectors and art enthusiasts will find an unparalleled collection of traditional oil paintings representative of the high quality of work being produced by professional oil painters today. Over two hundred pieces will be offered for sale over the course of the exhibition starting on Friday evening, May 2, 2008. Nationally recognized plein air artists have been selected to capture the allure of the Florida's Forgotten Coast with paint and canvas. Artists will be painting on the beach, across the marsh, beside the lakes and throughout the streets of waterfront towns from Mexico Beach, Windmark, Port St. Joe, Cape San Blas, Apalachicola, Eastpoint, St. George Island, Carrabelle, and inland at Wewahitchka. You are cordially invited to join us at this premier art exhibition and sale featuring on-location artists. Experience beauty through the eyes of America's finest plein air artists! Wesley will be exhibiting 10 Chicago-based paintings at Bistro 110 beginning in February and running through April 2008. Wesley will be participating in an Invitational Paint Out sponsored by the Dana Gallery in Missoula, Montana. Based out of the Paws Up Resort in Greenough, Montana, (recently visited by the legendary Rolling Stones) 5 artists will be painting for 3 days consecutive days, concluding in an exclusive exhibit at the Resort. Paintings will be on view at the Dana Gallery following the event. Wesley and his wife Leesa will be traveling to Costa Rica for a couple of weeks of surfing, diving and, of course, painting. Wesley and Scott Tallman Powers will be visiting the Carmen's gallery in New Orleans for 3 extensive days of painting in the French Quarter and Magazine Street. They'll be exploring every nook and cranny of the French Quarter painting subject matter that captures the essence of the Quarter as it is today. The goal of the paintings will be to convey the vast amount of history that is infused into textural landscape of the city and provide a glimpse of the hope that lies ahead for it's future. In October of 2006 nine artists met in Chicago’s O’Hare airport, easels, cameras and notebooks under their arms. Each knows the trip to China is an opportunity of a lifetime. Zhiwei Tu, Past President of Oil Painters of America, is the trip’s organizer. He is on his way home to Guangdong Province for a four month stay. He’s welcomed along six other OPA members and associates: Neil Patterson, Ken Cadwallader, Scott Tallman Powers, Wesley Drake, Clayton Beck, and Diane Hynes. In what we will soon discover as Zhiwei’s unique style and charisma of inclusion, he’s also invited Dudley Dana, photographer and owner of Dana Gallery, and me to document the trip. After three weeks of plein air painting in remote villages and bustling markets and temples, as well as visits to art schools and museums, we return home, saturated with sights and sounds. In China there’s a tradition of making tea from a single flower blossom. The first cup is made quickly and carries the scent of the first day of spring. The sixth cup steeps and develops a complexity. The plein air work was like that first cup of tea. Home in their studios the artists created the “sixth-cup” paintings for this special international show at Dana Gallery. The work of Tu Gang from Guangdong Province, China, who painted with us on location for several days, is also included. The Plein Air Painters of Chicago (PAPC) started over about three years ago with the purpose of bringing artists together to paint the beauty and diversity of Chicago year-round. Every Saturday morning the group converges in a different location (regardless of weather) to capture the mood and personality of that particular day. This has found the group painting in Humboldt Park on a blustery -15?F windchilled day, on Rush Street in a rain storm, at the Division Street Farmers Market during the warmth of Summer, and in Lincoln Park with the Spring flowers starting to bloom. There is no place in the city that goes unnoticed by this group. Wes Drake will be travelling with Zhiwei Tu, Ken Cadwallader, Clayton Beck III, Scott Tallman Powers, Dudley Dana and Candace Crosby of Dana Gallery, Neil Patterson and Diane Hynes on a 3 week journey through China to paint 'round the clock. Tentative exhibits are planned in Taiwan, Montana and Wisconsin to show paintings from the trip. Look for paintings from the "Paris of South America" shortly following my return.